Above Image Credit: George Apostolidis & Tourism Tasmania. All Rights Reserved. 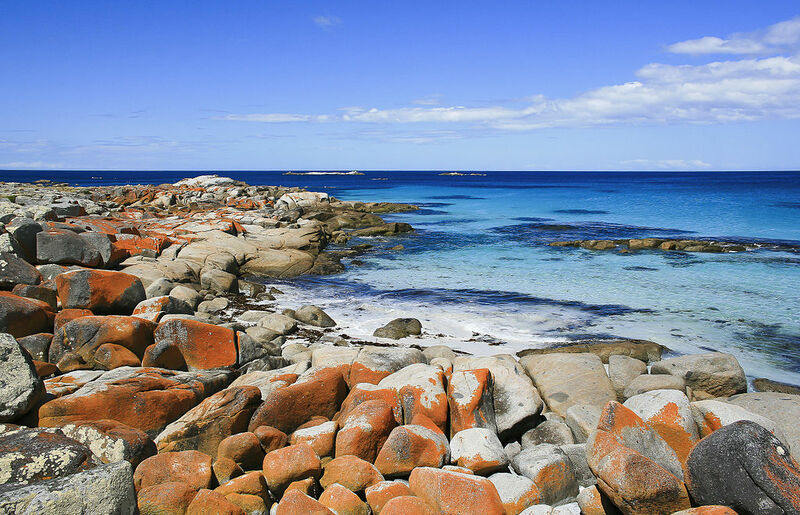 Bay of Fires isn't just one spot on the East coast of Tasmania - but runs along the coastline for around 50km, from Binalong Bay up to the bottom of Mt William National Park. It comprises of gorgeous beaches and crystal clear waters, in which campsites are tucked along the shoreline between the acacia trees. When we travelled there, the weather wasn't exactly ideal for a beach holiday - it was either very overcast or raining, and we didn't get to this area as it appeared in all the travel photos! The beauty of this area is well known, so we will need to head back there to see it the way it was meant to be seen. Adding to the woes of not finding a campsite, the kids were getting fed up by being in the car as we tried to find the ideal camping location! Regardless of the complaining in the backseat, we drove on in a quest to find that camping spot that suited all of us, and did look a bit like the photos! Head to St Helens on the East Coast of Tasmania which from Hobart is around 3hrs, along National Highway A1. 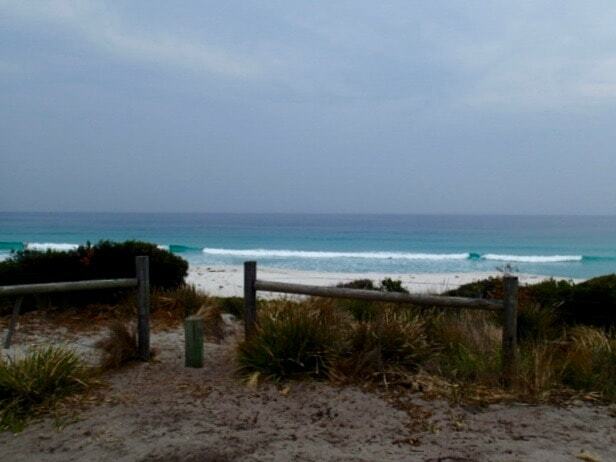 From Bicheno, its via A3 and about 1 hour. 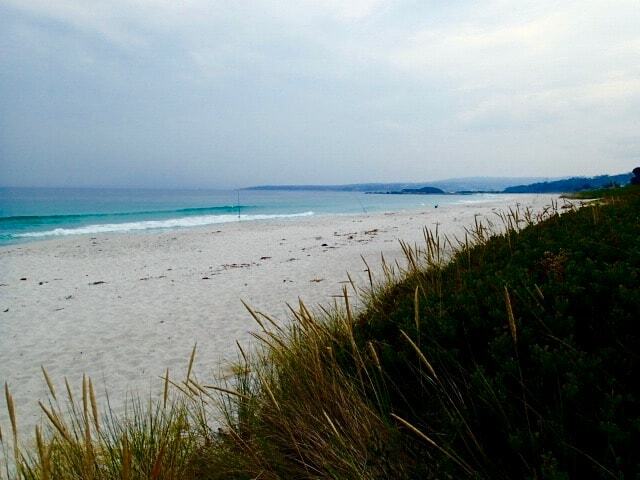 This first section of the Bay of Fires, the southern section, is 13km long from Binalong Bay to "The Gardens". 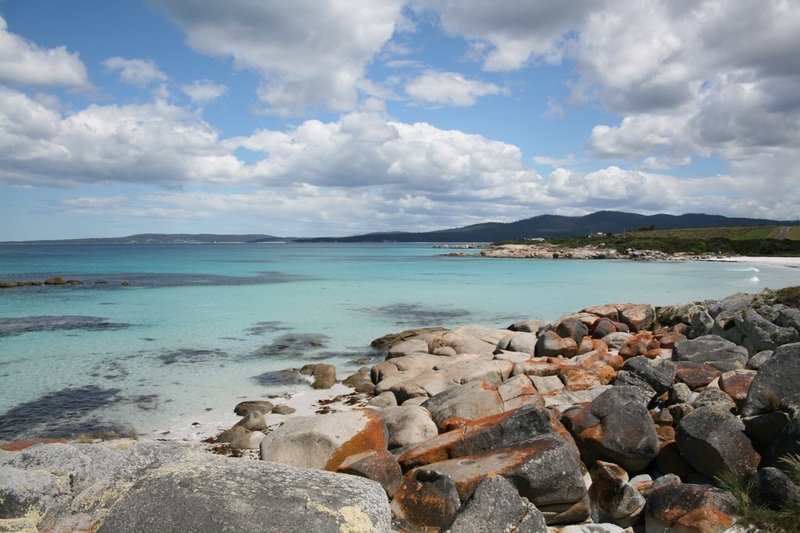 The middle section of the Bay of Fires lies in the vicinity of Ansons Bay. 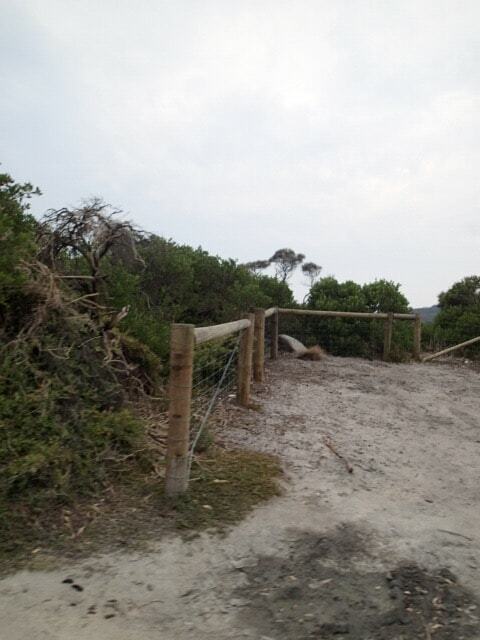 It can be accessed via Policemans Point or the northern shore of Ansons Bay. 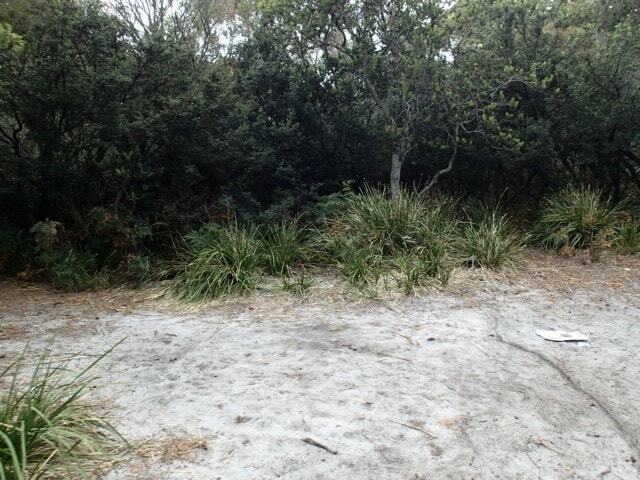 The northern section includes Eddystone Point which is at the bottom of Mt William National Park. 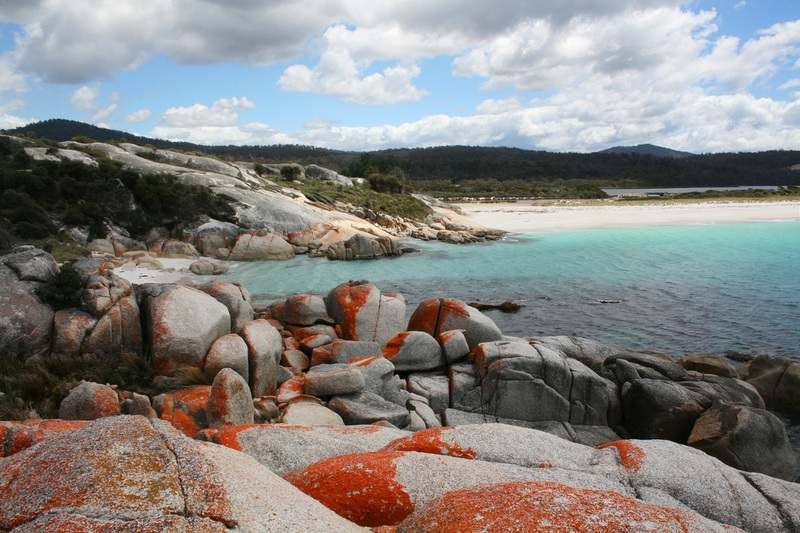 We visited the Southern Section, though we did camp in Mt William National Park, but not in the Bay of Fires section. 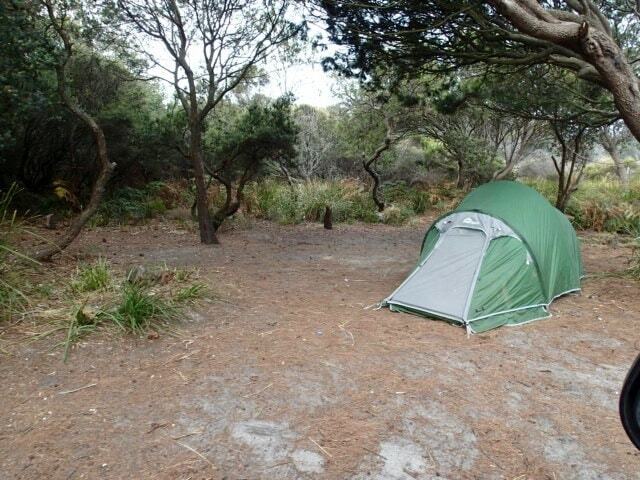 You can read about our Mt William camping on this site. 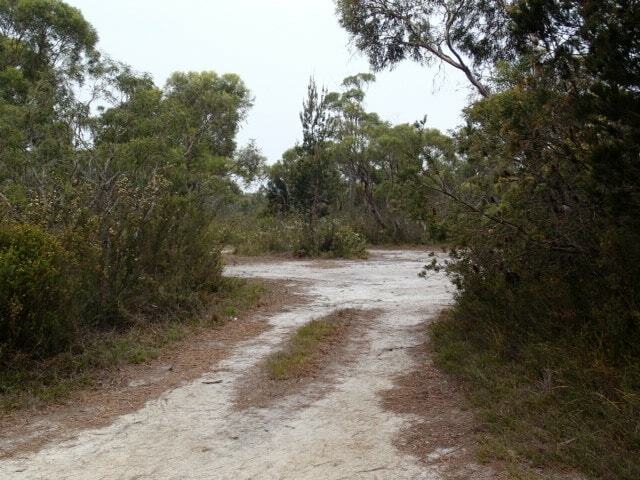 To reach the Southern Section is via the Binalong Bay Road (C850 ) out of St Helen’s. 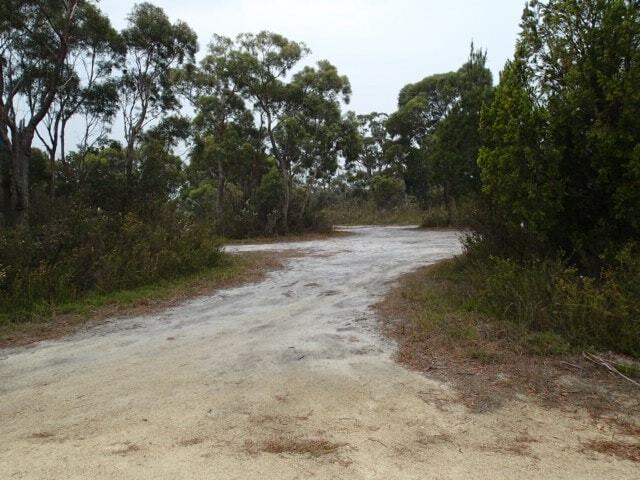 Take the turnoff on the left into the C848 at the sign - “The Gardens – 13 Kms . This road is a dead end. ie. no access to other parts of the coastline from the end of the road. We drove into this camping ground which was quite empty, and we could see why. It's not very appealing. You could be anywhere, as there are no views that we could see from a campsite. The campsites were spread out, and they had privacy and shade. But I felt we were stuck in the middle of nowhere - not in the section of the world that Lonely Planet called one of the hottest destinations in the world. 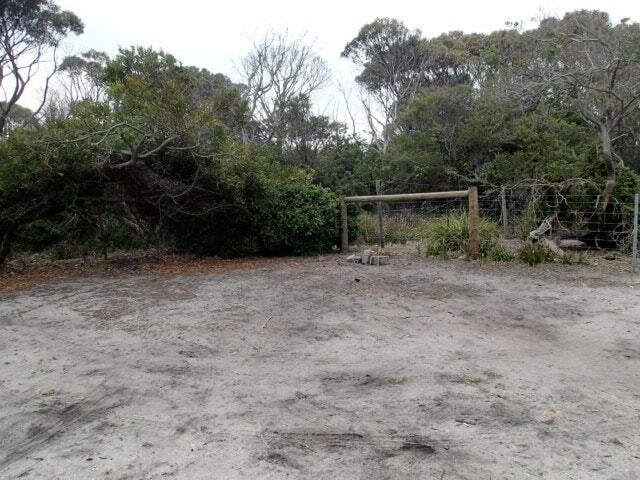 This area is free, no bookings required and you can stay there for up to 4 weeks. There were a few campers who looked like they were planning to stay that entire time judging by the size of their set up. Suitable for all sorts of camping styles, caravans, motorhomes and camper trailers will have no trouble finding a spot that suits their set up. There is a toilet (we didn't see it), but no water, no firewood and no rubbish collection. Photos below are a few photos of the campsites in the area. Just down the road from Grant's Lagoon is this campground. This campground was a little busier, but it still wasn't what we were expecting of the area. As you can see the weather was very dull and I am sure these photos probably make it look worse, but it still didn't have that WOW factor we wanted when camping by Bay of Fires. If I came back on a sunny day, and explored further, I might have a totally different point of view of this campground. We didn't get to the beach because the weather wasn't being too kind. The same information applies as Grant Lagoons - it's free camping up to 4 weeks, and there is a pit toilet. No water, no wood, no showers available. Disclaimer: By the time we got to this beach we were all a bit fed up and tired, and this was our last option of the day to camp! Swimcart Beach on a fine day would be a lovely spot to camp. With the sun shining and without the crowds, this could be amazing to wake up to each morning. The day we travelled had no sun, and plenty of campers already set up in all the prime positions. What can you expect? It was peak camping season!! This area is divided into 2 areas. 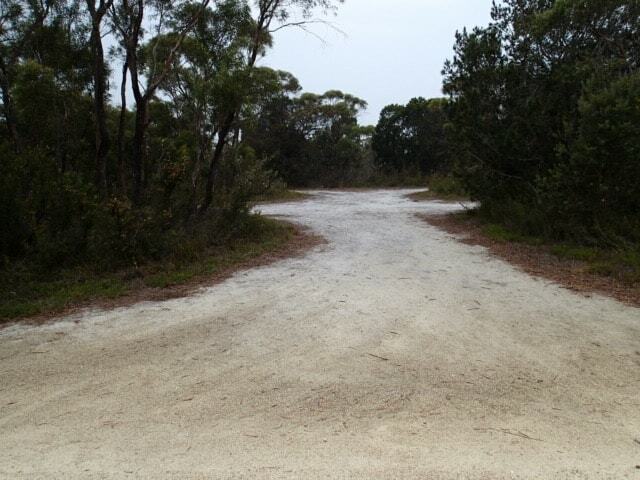 The first section of the campground is more bushland, with campsites scattered around a bushland setting, near the toilet block. There was plenty of vegetation, shade and some privacy depending on where you set up. If you continue along the access road which runs right along the beach - you camp right next to the beach (on top of the dunes). 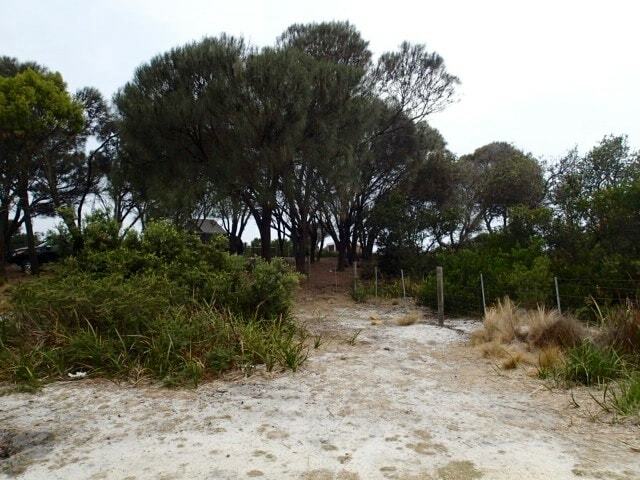 This is the most popular area because you have views of the coastline, and definitely the best location of the 2 areas. This road runs for some distance, and the further it goes along, the further the lone toilets are (back in the first area I described). This area along the beach was very popular with caravans and motorhomes that were self sufficient and most of them would have had toilets on board, which meant they didn't need to have to traipse back to the toilets. Those that didn't have onboard facilities, had toilet/shower tents set up right next to their van. It's a fairly exposed area, but if you are in a van, you probably wouldn't notice as much. Those in tents (which were in the minority along this stretch) would definitely feel any change of weather. Between these sites, there is not much privacy, with caravans side by side at some of the sites. The view though is lovely from these spots right in front of the beach, and if you are in this area, its well worth checking out! I don't know how busy it is in the off-season, but I can imagine how great it would be to see this view when camping. You can stay for up to 4 weeks, and it's free. Might explain its popularity! 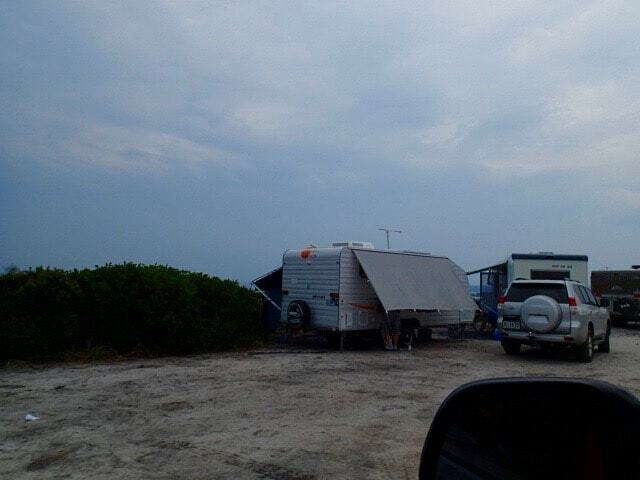 First 2 photos are of the first campsite at Swimcart Beach. This is a beautiful area of Tasmania and more time is needed to explore it thoroughly. 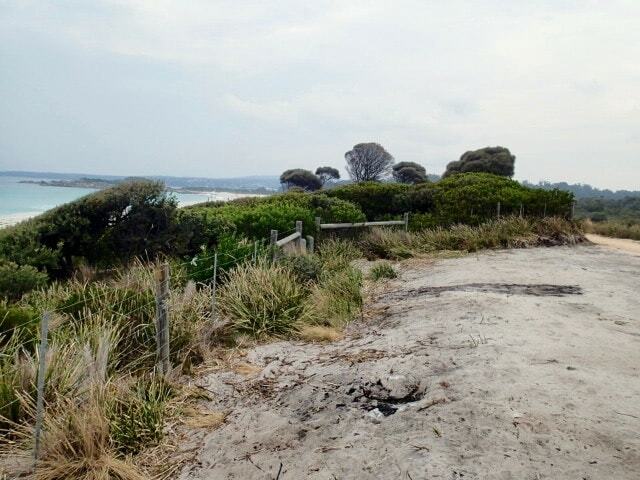 I don't feel that we got to see as much of Bay of Fires as we wanted to (due to time limitations) nor see this area in all its beauty. There is a lot more to investigate and spend time in. We hope to do this in the future. FYI: Need to see some photos of how beautiful this area is on a sunny day? Because obviously the above photos just don't do it justice. Then these photos below could help convince you.